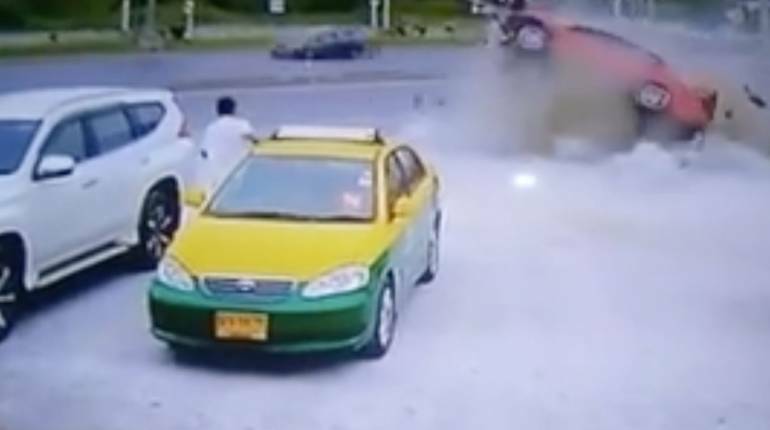 This video shows an out of control car that skids off the highway and then hits an innocent taxi driver who is standing next to his vehicle. The incident happened on the Rachapreuk Road in Nonthaburi. The taxi driver was trapped underneath the wreck but he lived. The driver of the wrecked vehicle has been charged with negligent driving causing damage and injury. All injured people were sent to Kasem Rat hospital.